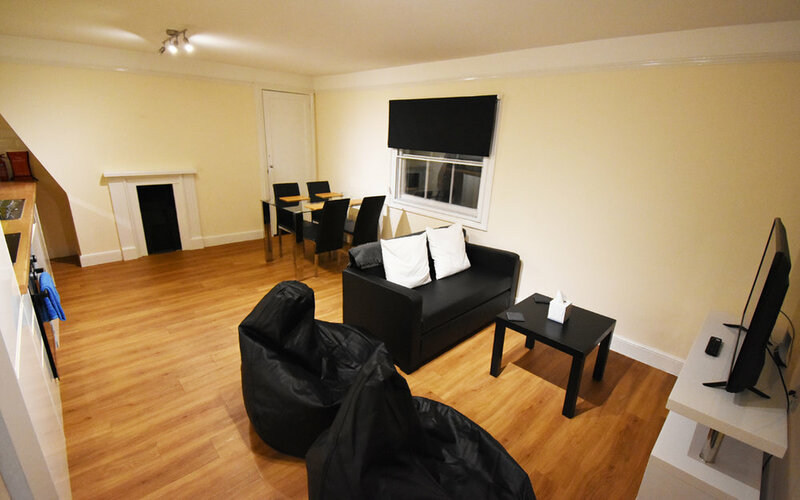 This is a duplex apartment (2nd and 3rd floors) right in the middle of Ipswich town centre. It has 2 double bedrooms, one being the master with ensuite in the 3rd floor. The second bedroom has a shower room right next to it. Please note that due to its central location, this apartment does not come with any parking facilities. 2 Bed Duplex Apartment, Central Ipswich. This apartment is right in the centre of town - indeed, it’s almost directly opposite the entrance to the EasyHotel. Due to the extremely central location there is no parking offered with this apartment. Both bedrooms have double beds in them, with the Master (3rd floor) having an ensuite. The second bedroom has a shower room right outside the door.